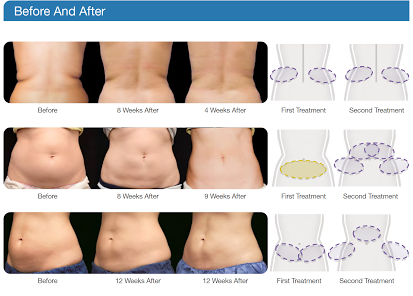 Clatuu utilizes a dual handpiece system capable of performing two treatment sites at once to freeze unwanted stubborn fat at the same time. 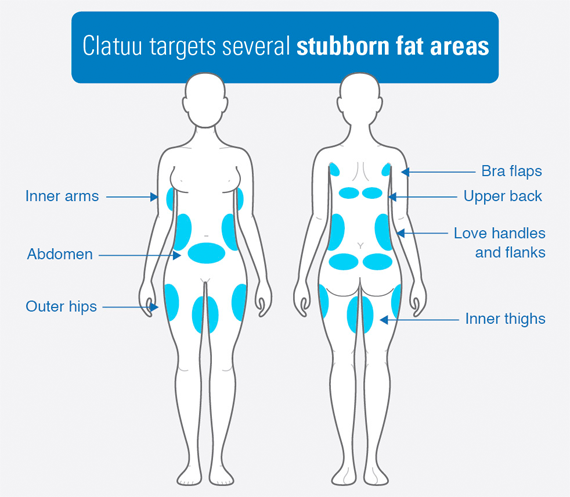 Clatuu targets fat cells without causing damage to other structures in the skin. This is done by its advanced 360° precise cooling handpiece able to deliver cooling more evenly across a treatment area compared to older, more traditional cryo-based fat reduction treatments. Each treatment will run from 45 min to 1 hour, at controlled temperature yielding visible and measurable results within the 6-12 week window with continuous improvement thereafter without the need of any medications, injection or surgery. The initial sensation of the handpiece taking onto the skin will be light tugging of the skin into the treatment cup, during this time patient may feel discomfort that may last up to 10 mins. However, it is well tolerated by most patients. Once the target temperature is reached the skin will be numb from sensation for most of the session and a light manual massage is given post-treatment. Patients who have undergone several treatments have found the CLATUU sessions to be highly tolerable. There may or may not be redness over the treatment area, and normal daily activity is not affected by this treatment. It carries no surgical related risk, thus making this treatment more convenient, and affordable for patients. Usually, treatment repeated at the same treatment area is done after 1-2 months delay from the first session. A single treatment will yield 20 to 25% reduction in the fat content of a specified target area of the body. This results will be most evident between the 6-12 week mark. 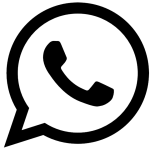 Post treatment consultation will be done to ascertain whether a repeat treatment is necessary. 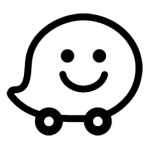 Otherwise, treatments to other areas, including those adjacent to previously treated sections can be done. Sometimes treatment such as INDIBA skin tightening is done to augment the result of Clatuu. What treatment area can be treated? Clatuu 360 will have a suction effect on fatty areas, where inside this suction cup (or called as applicator) the freezing mechanism will start and freeze the fat cells to – 9-degree Celsius for 45 mins to 1 hour, depending area of treatment. During this period of time, fat cells are destroyed due to cooling effect without affecting surrounding skin, tissues or organs. As an alternative to liposuction, it leaves no scars or marks, can be done over lunch break and only cost a fraction compared to liposuction surgery. Its also doesn’t have downtime related to surgery as its completely non-surgery. How long to see the result? The first result can be noticed 1 months after your treatment, where treated area will be smaller or soften. Maximum result can be see at 3 months after your treatment. Repeated sessions can be done after that. Do I have to exercise or control my diet during procedure? It is not compulsory, but exercise and diet control can lead to better and longer lasting results. How many kgs I can lose with this treatment? As this treatment is targeted as specific problematic areas with stubborn fat pockets, its used for body sculpting rather than weight loss. 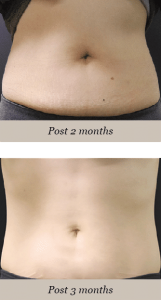 A usual tummy area treatment will yield around 4-5cm per session and arms/thigh area will yield around 2-3cm per side. However its also depending on individual fat area size prior to procedure, so assessment is needed prior to each cases. What is the different between Cooling or cryolipolysis technology vs heat based device like radiofrequency? 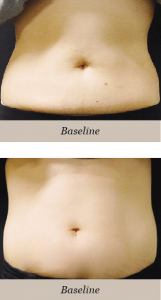 For cryolipolysis, the target tissue is mainly adipocytes which are the fat cells, treatment is usually 1-2 sessions per area, and results are more apparent compared to RF device which requires repeated sessions of 8-10 times to yield similar results. However, heat based device able to produce skin tightening effect to further shape your body. Its recommended to combined cryolipolysis treatment with RF heat based treatment like our proionic Indiba treatment 2-3 weeks after your clatuu360 sessions to get the most optimal results for your body. Its common to pair this treatment for post liposuction cases to avoid lumpiness or uneven skin post fat removal procedure. Compare with my previous experiences at others clinic/health.beauty outlet, Sliq Clinic by far delivered the best. Young, Friendly people, cozy environment like my own house which make me sleepy^^ The effect is shown immediately after treatment which are amazing. Now im waiting the result after recover. Hope the recovering goes fine…Thank you very much. Definitely come back in the coming future. Ready For Your CLATUU? Book a Consultation With Our Doctor Today! First Trial for Only RM999!